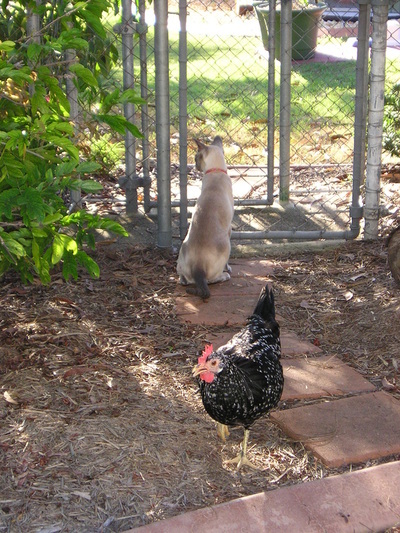 Social – Social enrichment is any interaction between an animal and another that doesn’t involve conflict. 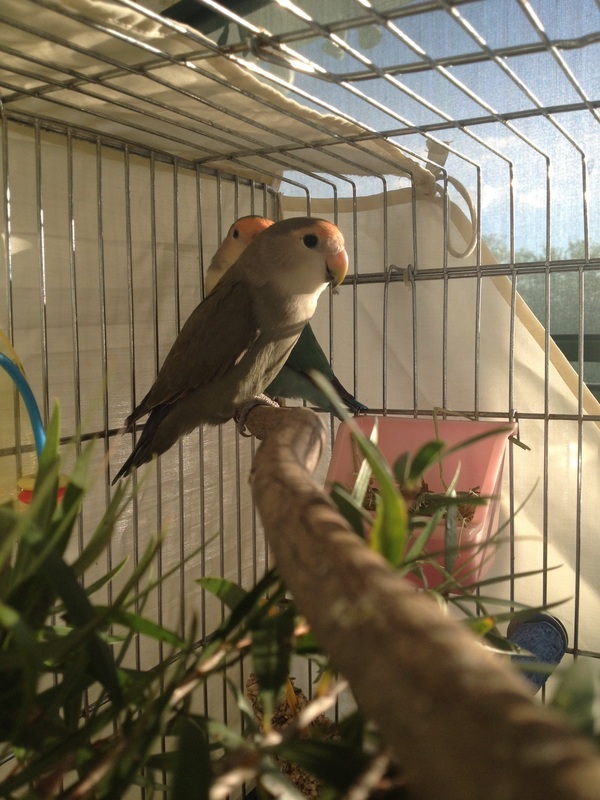 Social enrichment doesn’t even mean the animal has to touch the other, it can be as simple as sitting your birds outside (safely – protected from elements and other animals) and allowing them to communicate and watch the world go round. 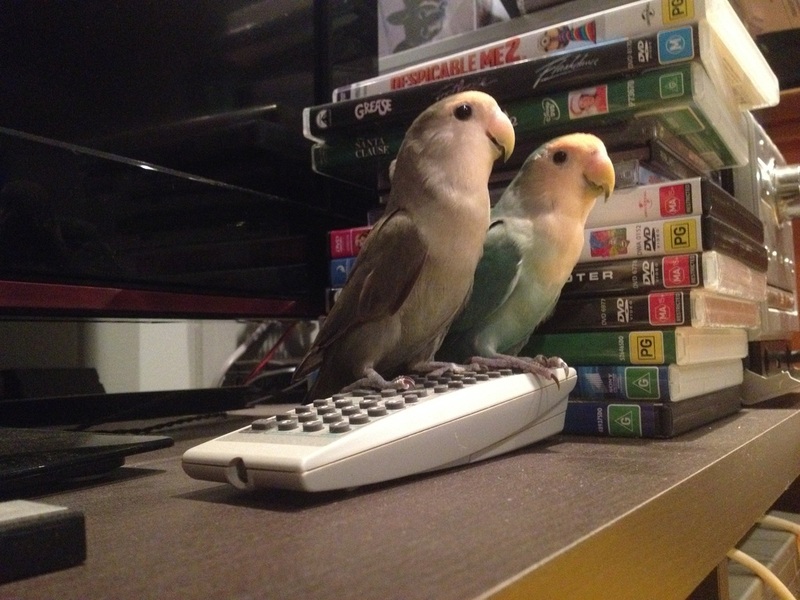 Talking to your bird is socially enriching for both you and your bird. 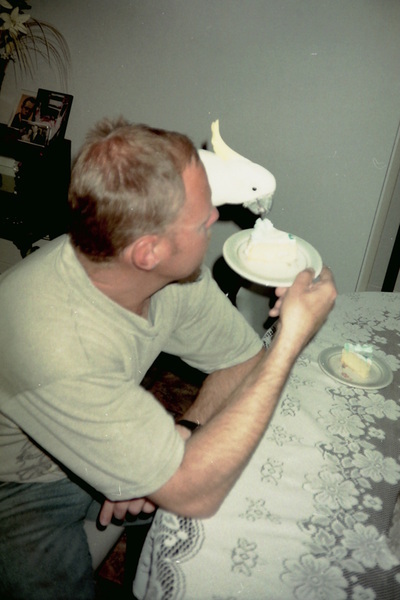 Life – Life enrichment is allowing your bird to do birdy things. 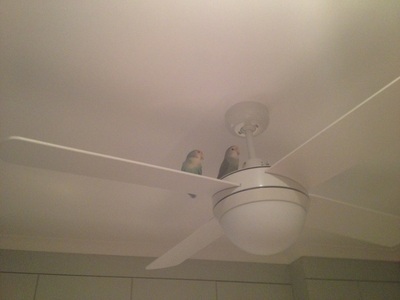 This means flying, flapping, preening, bathing, vocalizing, chewing, digging and foraging. 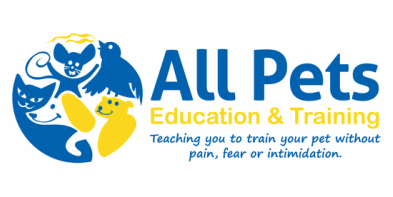 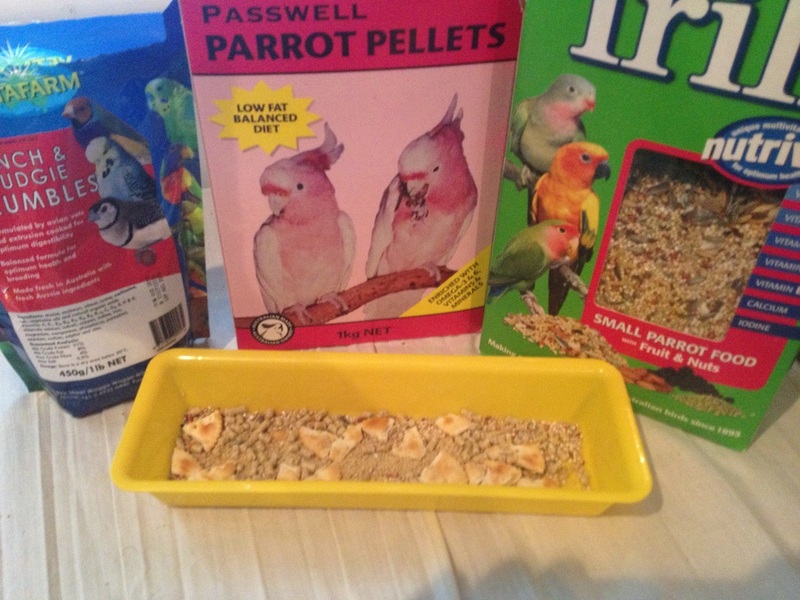 Training – Training your bird is another type of enrichment. 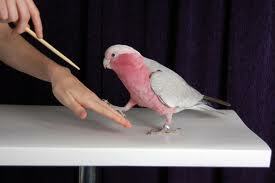 This can be as simple as a “step up” onto your hand, right up to talking, and even free-flight. Birds can be trained to do tricks. Environmental – Environment enrichment is adding things to your birds life that he or she will find entertaining, rewarding, or meaningful. In the wild a bird would spend most of its day (over 70%) looking and searching for food. Then once they have found the food, they usually need to peel, kill or crack it open. 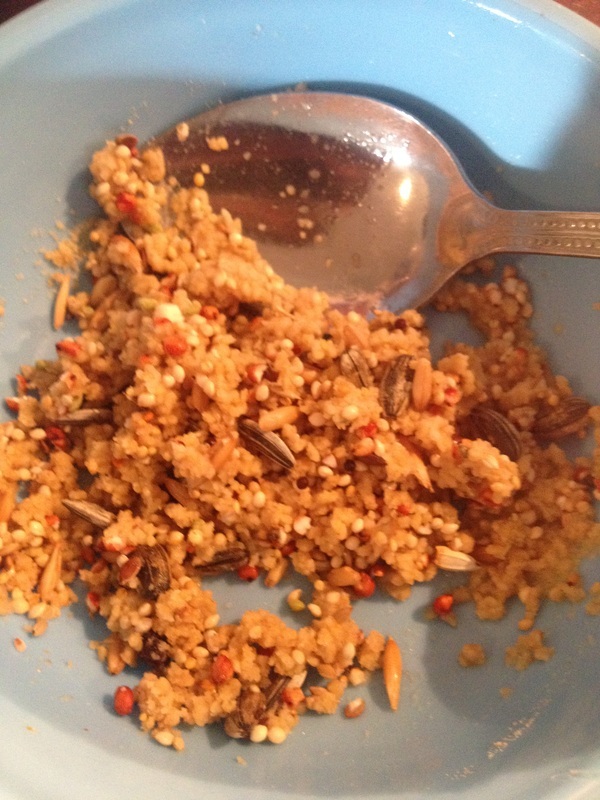 Life as a pet bird generally means the food is provided in a dish and the rest of the day is left without much to do. When this occurs, many birds will develop abnormal behaviours (also known Sterotypic). By providing our birds with environmental enrichment opportunities many of these undesired behaviours can be managed if they have developed and prevented from developing in other birds. To provide your bird with foraging opportunities you can use purpose built foraging devices, or make some out of simple household items, including egg cartons, cardboard tubes, covered dishes, and newspaper. 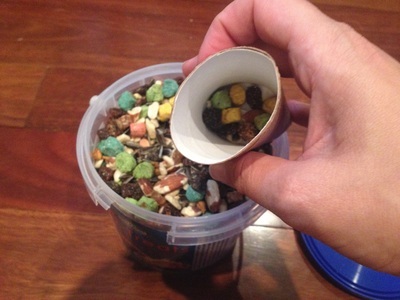 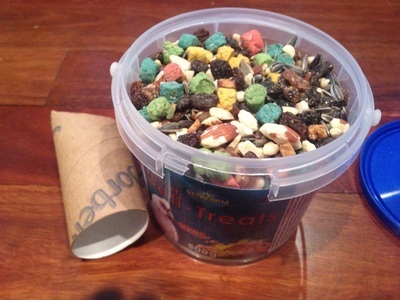 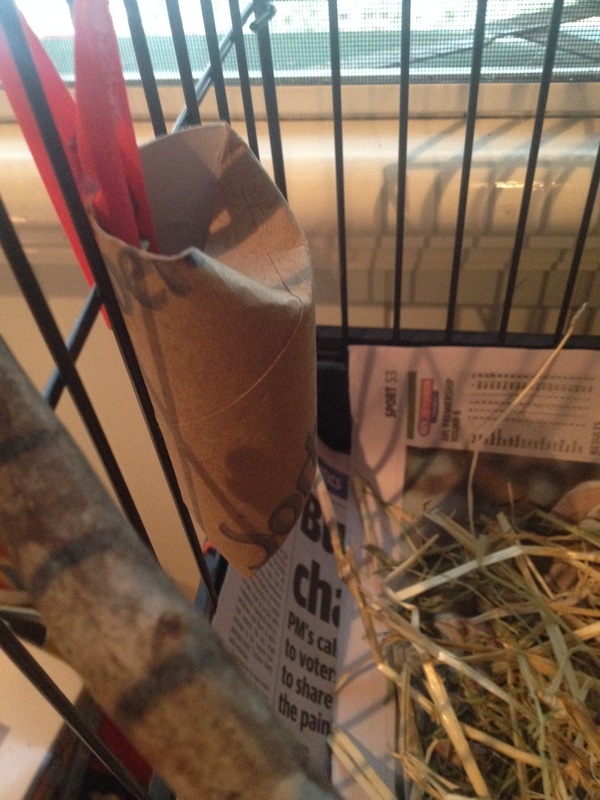 Use a toilet roll, packed with a few of your birds favorite treats and hang in their cage to find. 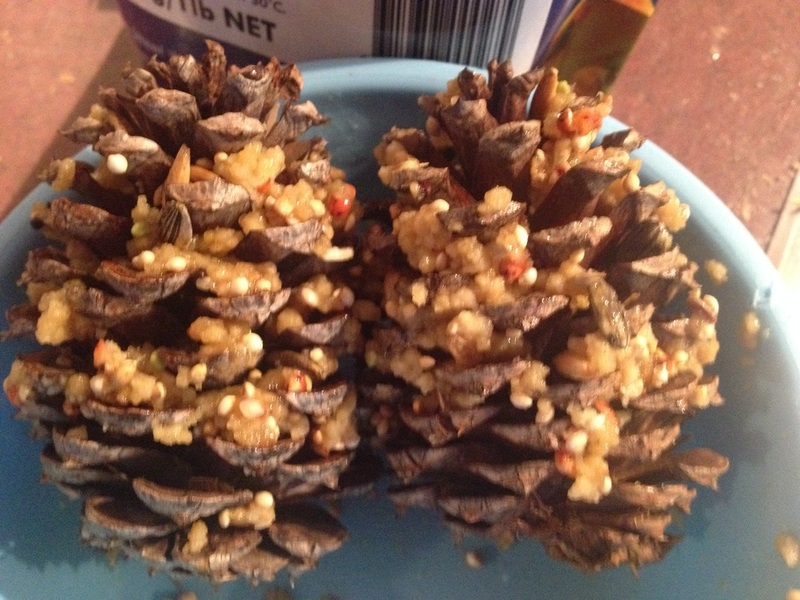 My birds like pine cone treats. Mix equal quantities of pellets, seed, and mash with a little water. 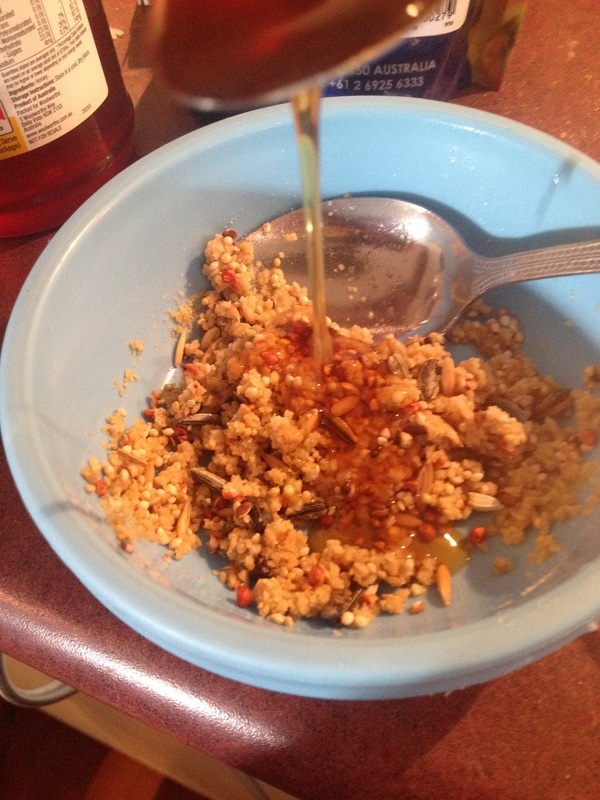 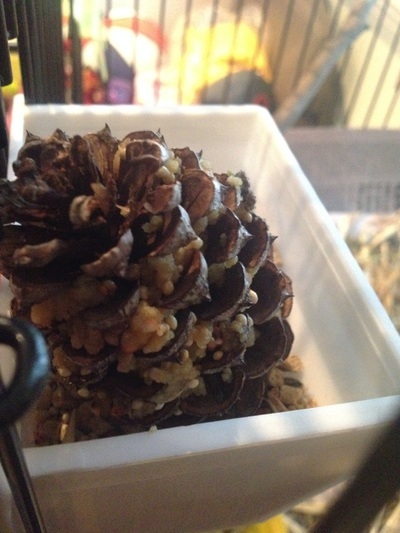 Add a small amount of honey to make it sticky and then stuff it in the pinecone – give to your bird. 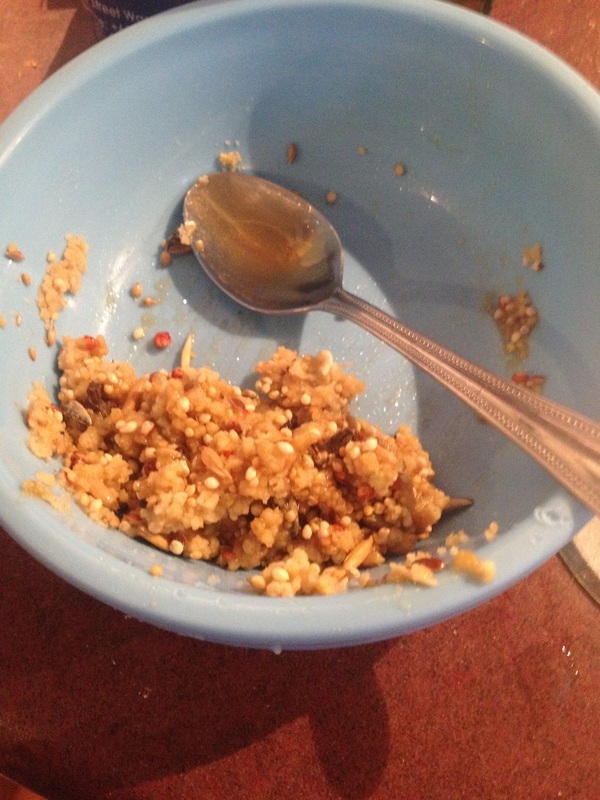 Remove any uneaten portion after 12 hours. 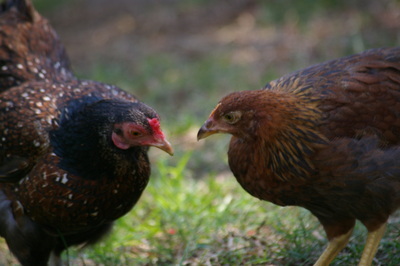 My chickens are even capable of using Kongs stuffed with meat. 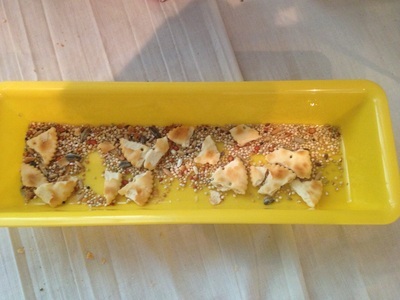 Providing your birds food in several smaller dishes throughout their enclosure can be a simple management enrichment tool. When your bird has caught on to the food being located in several different dishes you can start making things a little harder. Hide their food by covering the dishes with a tissue, grass hay or paper. 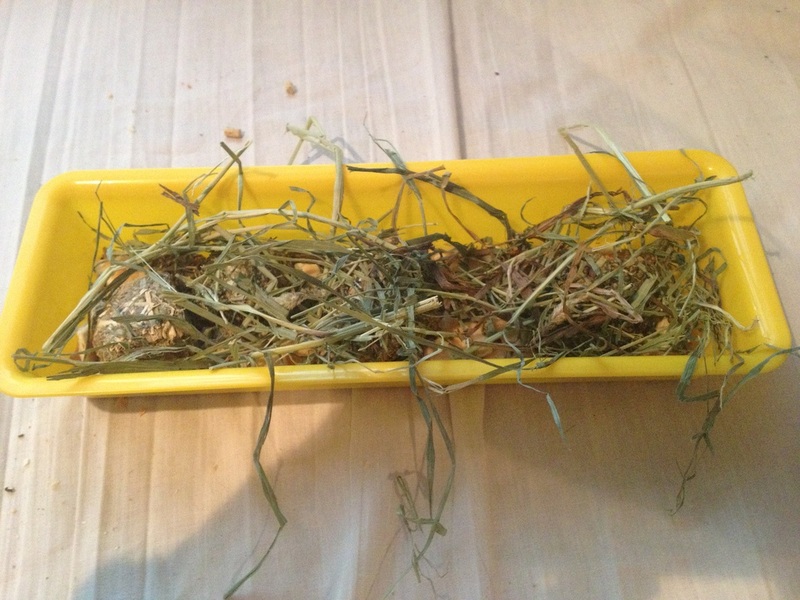 You can build your bird a foraging tray by burying your birds favorite treats under washed stones, grass hay etc – this way your bird needs to forage through to find his/her food. 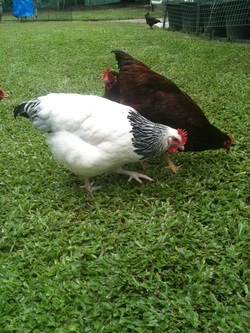 If you have chickens or other poultry, allowing them out to roam the gardens and yard (supervised and safe from predators) is a great enrichment opportunity. 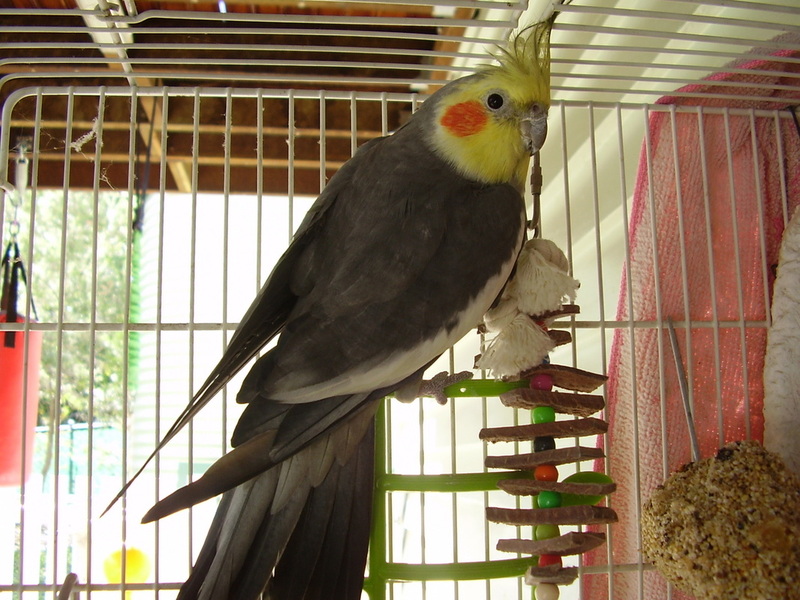 Birds that like to chew, should be provided with safe products to chew on – natural wooden perches, cardboard boxes and safe, size appropriate toys. 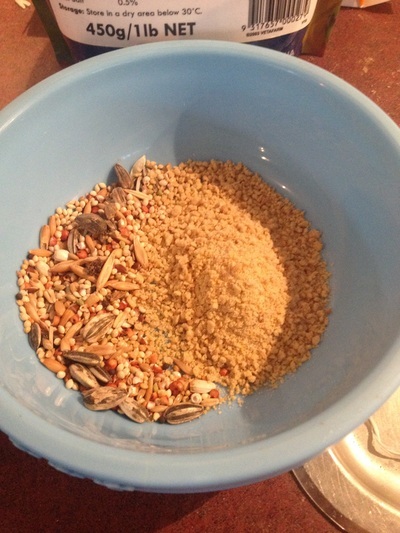 Provide your birds with fresh fruit and vegetables daily – birds that have not been exposed to this previously may need to have this provided on a daily basis for months before they are convinced on the value of this food. Some birds will even like sprouted seeds – add a little water to a small portion of seeds and sit in a sunny area to sprout – in a few days you will have a tasty treat for your bird. A parrot cage should have a variety of natural perches of various sizes to promote good foot health. Chickens should be provided a safe, weatherproof, predator proof enclosure, nest boxes and a roost. 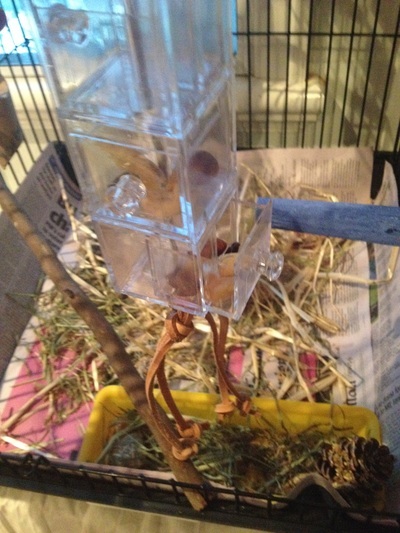 Provide your bird (parrot) with the biggest cage you can afford. 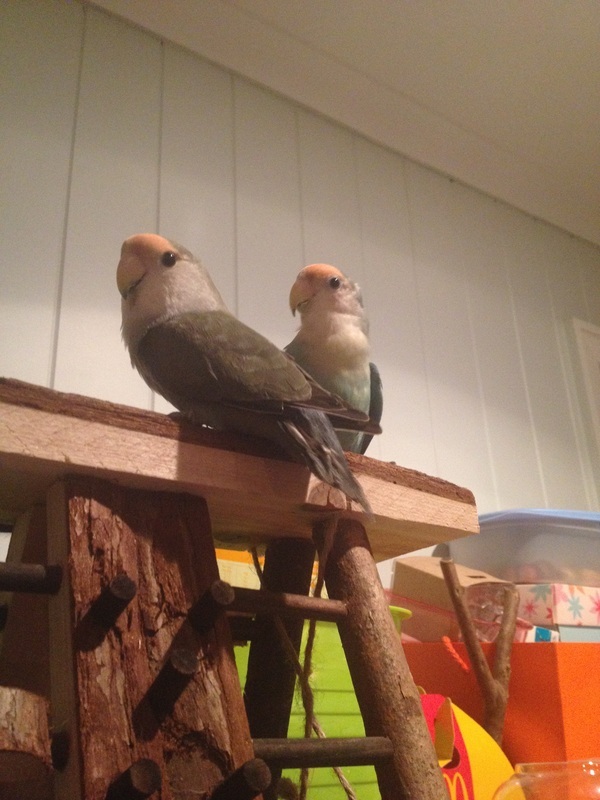 If safe to do so, give them regular time outside the cage to fly and stretch their wings. Ensure they are safe by removing other pets, shutting windows and doors, closing toilet lids and turning off ceiling fans before you open their cage doors. 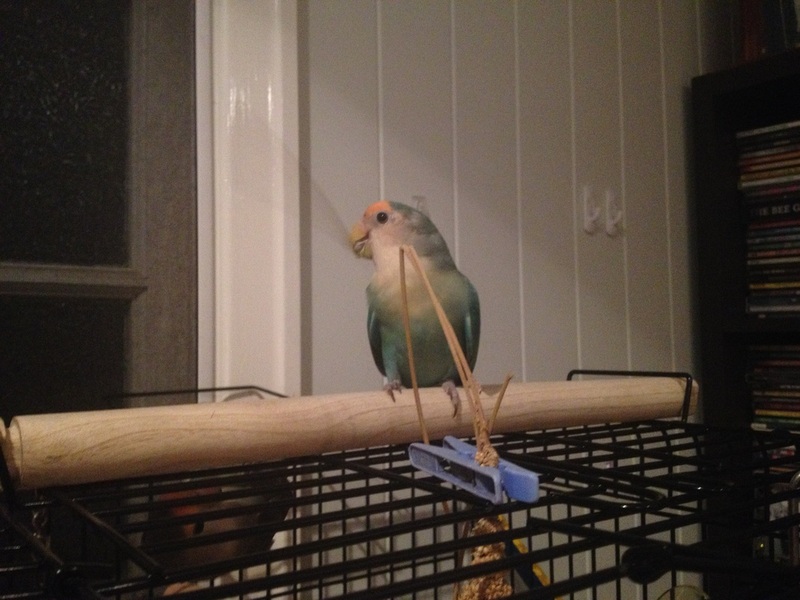 Below is a YouTube link to a friends bird Chicko and how she keeps him entertained.